In August 2014, a 30” water main beneath Sunset Boulevard in LA burst unexpectedly, flooding the street and nearby areas of the UCLA campus. The 100-foot geyser was an impressive but alarming sight, and the incident drew attention to the LA Department of Water and Power’s ongoing problems with water infrastructure deterioration. The burst water pipe was ultimately caused by incredibly severe corrosion. Before the rupture occurred, nearby trunk lines already had a total of 5 leaks, which had not yet been repaired. Although these pipes were overdue to be replaced, water line replacement had not been scheduled at all. The burst water pipe released 20 million gallons of pressurized water. The two damaged trunk lines had been installed in the 1950s, and on investigation, it was found that a major part of the problem was shoddy water line installation. Experts described the water line’s construction as “cobbled together,” with outmoded and substandard welding techniques and other signs of unskilled and unprofessional workmanship. The 2014 incident was not the only serious water line break in LA in recent years. 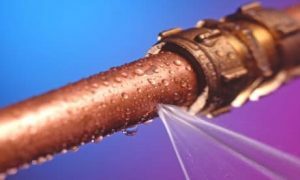 Los Angeles actually has a rate of water line leaks below the national average, underscoring the widespread nature of public water supply infrastructure deterioration in the United States. The process of widespread water line replacement in LA is estimated to take over 20 years. Because replacing pipes involves trenching that disrupts paved areas and tears apart streets, it must be done gradually to minimize disruption for local homeowners, businesses, and commuters. At the time of the event in 2014, LA was replacing its water lines at an average rate of once every 300 years. 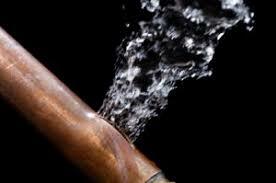 A long-term goal is to reduce this to once per century, an acceptable rate of replacement for old pipes. 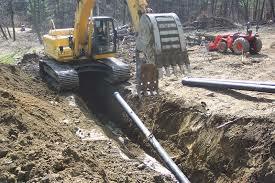 Call us if you have any problems with your water lines in NJ. 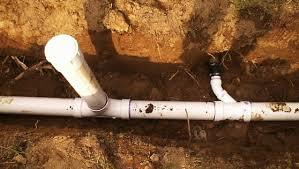 We handle water line repair, water line replacement and inspection and sewer repair services . Call today at 201-645-0888 for a free estimate.